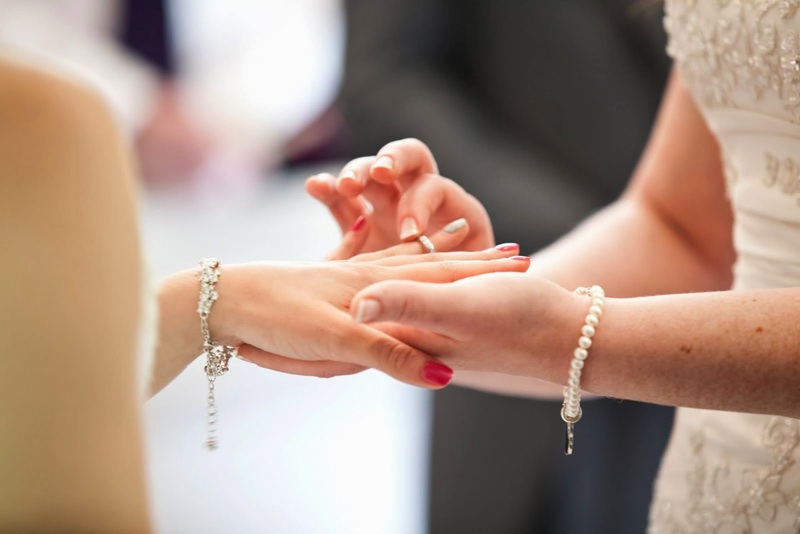 From the moment you meet your 'one', the one who you will spend your forever with you, and particularly from the point of your engagement, you build together so many hopes, dreams, and expectations for your wedding day and married life. But does the reality live up to imagination? We decided to find out! 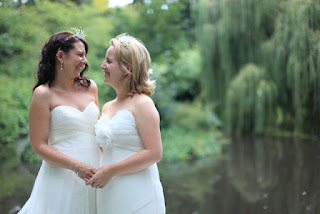 In the first of a few posts written by lesbian couples who we asked to tell us about their marriage and/or wedding, we speak to a couple who a year into married life, and ask them about their big day. 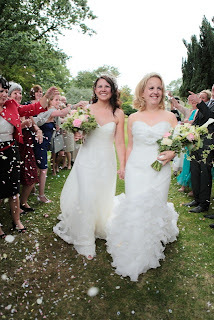 Throughout these posts we hope to see into the reality of life as Mrs & Mrs, including looking through memories of the couple's wedding day, and how married life has shaped them as people and as a couple. Laura and Laura (in their words''yep, really!' lol) are both 30. They've been together three and a half years and got married on August 13th 2011. We are really really happy to be featuring them on our blog, as theirs was the first we read...and look where we ended up! 1. 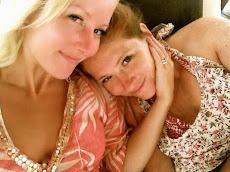 How did you and your wife meet, and what was it you liked about each other? 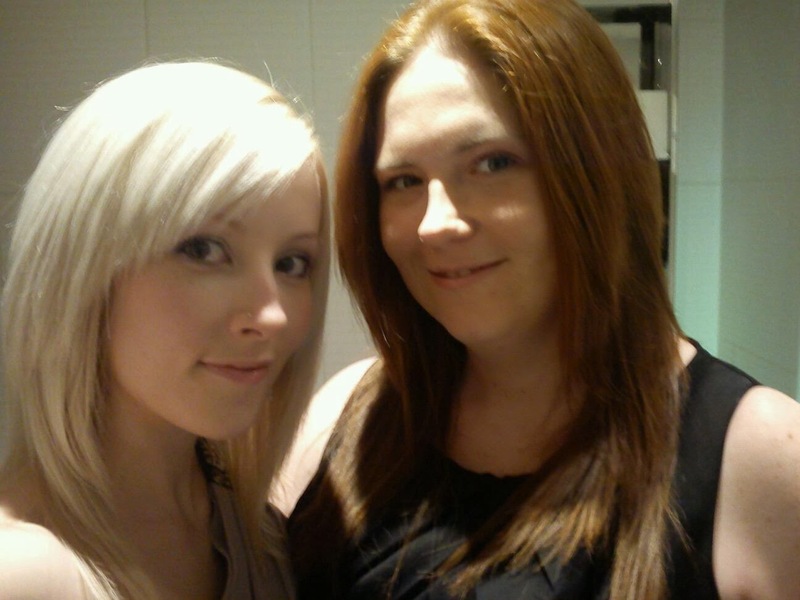 We met at work - we're both primary school teachers and we still work together now. We were both in relationships at the time but soon realised how much happier we would make each other than if we stayed in the relationships we were in. We both have a very similar sense of humour and outlook on life and I think our similarities and differences complement each other perfectly. 2. What made you decide to get married? 3. Who proposed and how? I did. I had a ring made by a friend of my mother-in-law's that was a replica of a (very expensive) Cartier ring Laura had seen in Paris. I booked us into the Fat Duck (Heston Blumenthal's restaurant) and booked us a cottage to stay in overnight in Bray village. It was a total surprise to Laura and I told her when we got in the car that it was a belated Christmas present, so although I had obviously forked out a lot and arranged something very special, she still didn't expect me to propose, which I did in the restaurant, once the champagne had been served. It was a totally amazing night. 4.Tell us about your wedding day! Our wedding day was THE BEST DAY of my life (so far - I have to say that as I am pregnant!). From start to finish neither of us stopped smiling. We had quite a big guest list considering we work together so share a lot of friends, but it was fabulous to have everyone we wanted there with us. We had two bridesmaids each, and our brothers were our three best men. We also had Laura's cousin and niece as our flower girls. We had the whole day in one venue - a beautiful country house hotel, which meant that we could stay the night before the wedding and get ready on site as well as staying in the bridal suite the night of the wedding. We also got quite a few discounted rooms for our bridesmaids and family to stay in those two nights. Our ceremony was outdoor, under a gazebo (as British law insists on ceremonies being carried out under a roof), and I had sleepless nights about the weather in the weeks leading up to the big day. However, the sun came out for us and it was a lovely warm day, without being so hot that people were uncomfortable - another thing I was slightly worried about as my wedding dress had a ridiculous number of layers! Our "vision" if you like was to have a really good party and for all our guests to have an amazing time - as we knew we would, we were marrying our best friend after all - and all the feedback we've had from friends and family is that they had a fabulous time. And I enjoyed it even more than I thought I would. I still can't get over what a brilliant day it was and love watching the DVD we have of the day and looking at our photos. 5. Have your family been supportive? Yes, neither of our families ever questioned our right or desire to get married. I think they can all see how happy we are together and the great influence we've had on one another's lives. There were times we felt like some family members needed to back off a little, but only because they were SO excited for us that they wanted to have more involvement in some of the decisions than we would have liked. Overall though, we couldn't have asked for more support from our families and friends - who all put up with hearing about every little detail as we planned it! 6. Do you feel anything made your civil partnership different to a wedding, or do you think society feels it's different? Yes. There are/were differences. 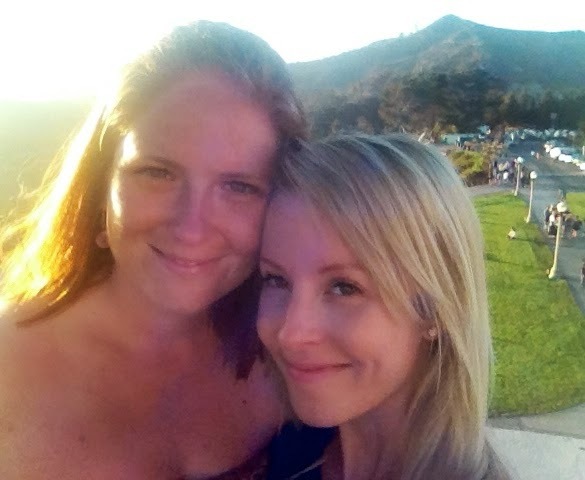 Right from the outset, Laura and I talked about our wedding and about both being brides. In our speeches we referred to being exciting about the start of our life as a married couple. *Technically*, none of those words describe us or our day. The government recognises us as civil partners and we were declared as such at the end of our ceremony. I have to say, those were the only small parts of our ceremony that felt a bit clunky. The rest of the ceremony was lovely and the words used were perfect. We could have chosen to write our own vows, but we decided we'd be nervous enough and would find it easier to use someone else's words, so we selected from the options (most sections of the ceremony gave us three different options for wording) the words we felt best expressed how we felt about one another. We still got to promise to give all that we are to one another, without having to make any reference to obeying! There were opportunities for readings (non-religious only) and we had two of our close friends read poems we had found. The only part of the ceremony I would have changed is the reference to civil partners rather than wives. My brother said in his speech, which was mostly a 15 minute stand-up routine on lesbian weddings - and very funny at that, that people were probably wondering beforehand what to expect from a lesbian wedding and how he'd loved seeing the satisfaction dawning on people's faces as they'd realised that it was "basically just like any other wedding except the bride gets handed over TO another woman BY another woman" (I walked down the aisle with my best friend who was one of the bridesmaids, rather than with my dad). I wish I was able to tick the "married" box on official forms, rather than the "civil partnered" one - although they do often tend to be the same box (Married/civil partnered). I think that there shouldn't be straight marriage and gay marriage, there should just be MARRIAGE! I am so very glad that we got married. And i will continue to refer to it as a marriage, even though it's technically not. We went quite traditional for our wedding day - big white dresses, bridesmaids, sit down meal, cake, first dance etc. mostly because that was just what we wanted, but also because it does challenge all those people who think that because two lesbians are getting married the wedding will be "quirky" and the bridesmaids will all be in suits and converse - not that there's anything wrong with that, if that's your vision for your wedding, of course, but we do like to avoid stereotypes! So we had our very traditional and quite classy day. The one "quirk" we had was that our tables were named after famous lesbians. I made the table names using photoshop and printed them in sepia onto ivory card edged with gold so that they were in keeping with our fairly classy theme, but they also educated our guests - the vast majority of whom were straight - on famous lesbians. It was one of my favourite parts of our wedding plans. 7.How has marriage changed your relationship and you as people? We already lived together and so we knew nothing major would change for us, but it does feel amazing to be able to talk about my wife and know that other people acknowledge the commitment we've made. It has definitely strengthened our relationship to know that we really do mean that much to one another and even just planning it together was a real bonding experience. We also decided that although we wanted children we'd wait until we were married. I took my wife's surname as a sort of double barrel to my surname (as we are both Laura we couldn't just have the same name!) and our children will have my wife's surname too, so now we will really feel like a family as we all will have the same surname at least in part. There's nothing I would change about getting married or the wedding day itself. It really was truly amazing. Thankyou to the Laura's for sharing their beautiful day with us, you have a beautiful way with words! Its great to hear from someone who's been there and done that, especially as they had a very traditional wedding, as we ourselves are planning on having. 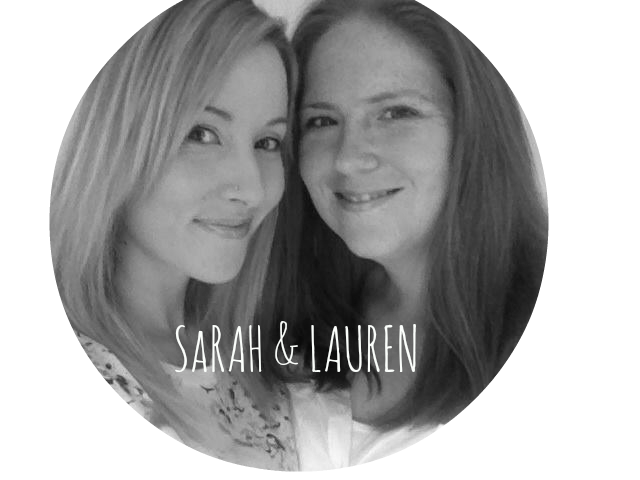 The Laura's have a fabulous blog that has always been on our favourites list, which documents their journey to mummy hood! Their babies are due in July and we can't wait to hear about their new additions. Beautiful brides! Congratulations on both the wedding and the little one coming! Beautiful brides and we love the dresses! Lovely first interview! 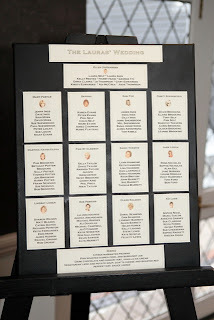 It was especially interesting to read about who would take who's last name and what last name their children would hold. I genuinely loved this brilliant article. 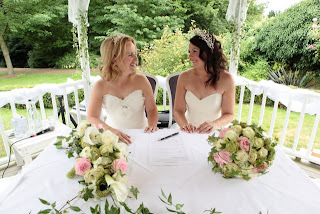 When planning a lesbian wedding it’s important to work out what the two of you want and spend time researching your wedding desires to make sure it all goes to plan. Thanks for this wonderful post and hoping to post more of this.